At SJA we take our environmental responsibilities very seriously. 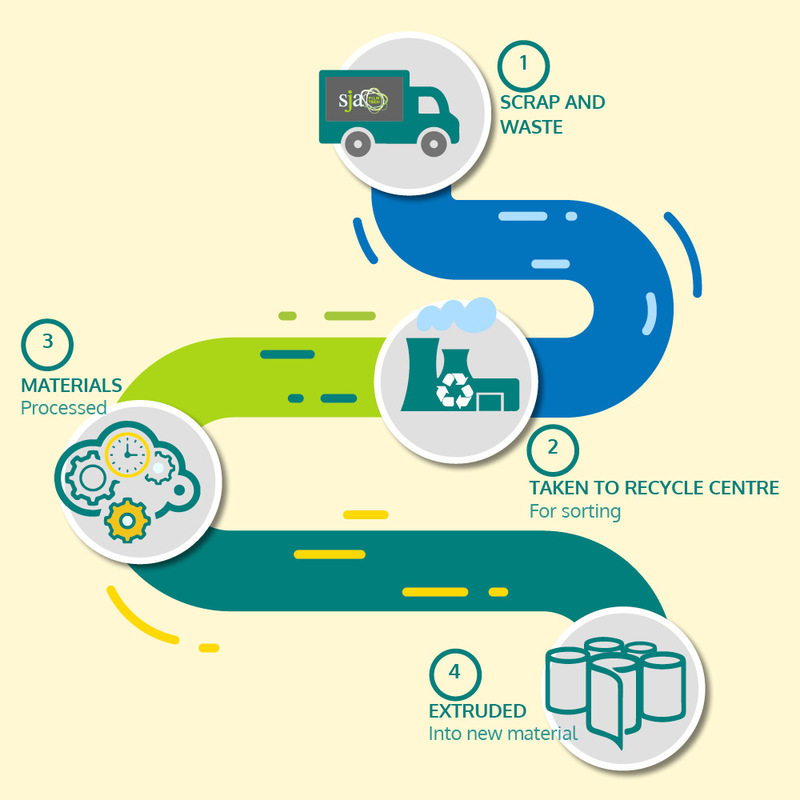 Therefore, we have all our recyclable waste and trim collected from our premises (usually in full loads to cut down on transport and emissions) and taken away to be re-processed. The different materials are sorted and graded before being collected from us so that there is no cross-contamination. Each material is then remade into pellets for reuse in the plastics industry. Need Advice? Request a call back today! If you would like to speak to a dedicated member of the SJA Film Technologies team about the services that we offer in more detail, simply provide us with a few quick details by completing the form below and contact our team today! Since our establishment in 2003, SJA Film Technologies have been proudly supplying clients within a diverse range of industries with the ultimate film and slitting solutions.